The makeup artist in Taiwan did a decent job, but I think the colors he used were very plain and dull. Just brown, beige … very neutral colors on eyes and cheeks, so I looked BORING. Anyway, I noticed that the one thing that all makeup artists use is the pink Beauty Blender. I have two of them at home — one normal size and one small size. 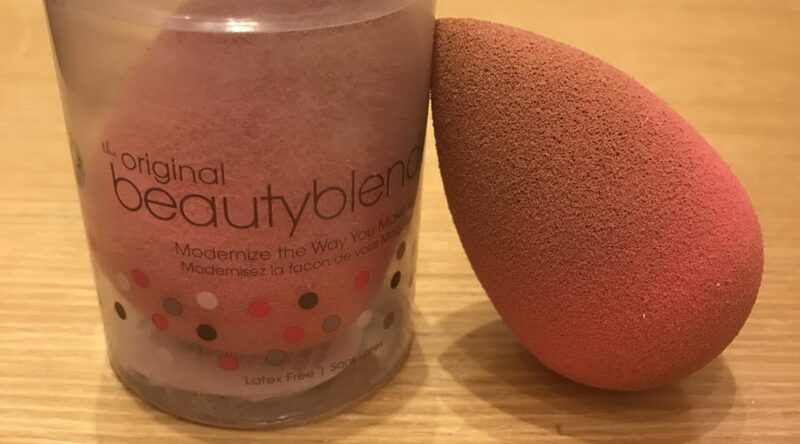 I’ve tried other blenders, including the Japanese one, but the Beauty Blender is the best. The shape and soft texture make this product unique and very easy to use. The pointy bit can be used for under the eyes with concealer and the wider bit for your foundation. I use the blender with my BB/CC creams. I also use it when I do a bit of contouring. On a separate note, I had such a great time at my friend’s 50th birthday party. I got to see friends who I haven’t seen in a while and it made me remember how important it is for us girls to have girlfriends. Life would be sad and lonely without our girlfriends who we can share our lives with — girlfriends who we can celebrate our milestones/successes together with and also share our pain/sadness when times are tough. It takes effort and time to keep the relationship going, but it is worth it because when you get older, you realize that it is one of the most valuable assets you can have. I recently came across this Ted talk about a Harvard study on what makes a good life. If you haven’t seen it, please watch the link … key to happiness … RELATIONSHIPS!